Social media platforms have become a common source for B2B marketers to engage with their client base and potential prospects, as well as share content. Some companies, such as IBM, MongoDB and PR Newswire, are taking it a step further, leveraging employee advocates and social media together to expand reach, increase engagement and drive demand. Pagemodo is a provider of social media marketing tools designed to help small business owners and marketing agencies grow awareness and increase engagement to reach their marketing goals. Design, target and manage Facebook Ads. Pagemodo is compatible with Twitter, Facebook and LinkedIn. 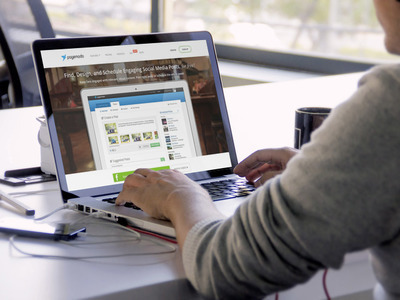 Pagemodo offers free and paid packages tailored to the needs of a range of users. Click here to view pricing. Pagemodo’s social media marketing suite is designed with marketing agencies and social media managers in mind, yet is user-friendly enough to help small business owners look their best with no design or technical skills required. CallidusCloud acquired LeadRocket, Inc., a social engagement and digital marketing platform provider. The acquisition will equip sales professionals with social media tools and enable access to marketing data from any device, according to officials for both companies. "The new LeadRocket technology is unique in the way it delivers marketing capabilities to sales professionals," said Rory Cameron, SVP, Learning and Marketing Platforms, CallidusCloud. "With this acquisition, we are putting marketing automation in the pocket of every sales professional. Using LeadRocket, sales will be able to listen to and engage prospects on social media as well as initiate campaigns, all on a mobile device, anywhere, anytime."